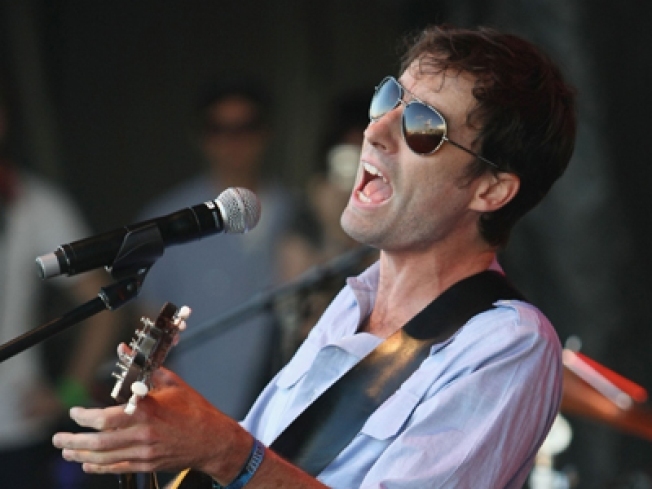 Andrew Bird brings his iconoclastic sounds to Williamsburg tonight. FLOCK OUT: Mad fiddler Andrew Bird's come a very long way since his humble beginnings with the kooky retro outfit the Squirrel Nut Zippers. His fascinating, all-over-the-place-in-a-good-way output (including the latest disc, Noble Beast) reminds us why. Catch Bird live at the Music Hall of Williamsburg, 8PM. BLAST: When fusiony jazz trumpeter Arturo Sandoval skipped out on his native Cuba - trumpet in tow - nearly 20 years ago, it juiced an already stellar career. Hear the man in person at (Le) Poisson Rouge. 7:30PM. CAB FAIR: You don't have to be a big fan of cabaret to be wowed by the all-star lineup at the 2009 Nightlife Awards - all you need is an abiding love of old New York, with which the genre is lovingly entwined. Christine Ebersole, Billy Stritch, Baby Jane Dexter and many more crowd the Town Hall to celebrate the scene. 7PM.